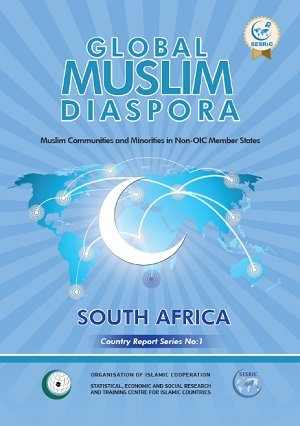 The Global Muslim Diaspora – South Africa report addresses gaps in the literature regarding global Muslim diasporic community by comprehensively examining the principle aspects of South Africa’s Muslim population. The study utilizes survey analysis, in-depth interviews, roundtable meetings and workshops to understand the major characteristics and challenges that Muslims in South Africa face. The study finds that Muslim communities in South Africa are a heterogeneous group that cannot be classified into a single category. The reason behind the diversity of Muslims in South Africa lies in their ethnonational and racial background, their historical organizational presence in the country and their socioeconomic status. The report concludes that Muslim individuals and organizations in South Africa are well integrated, active and involved in the social and political spheres. South Africa is an encouraging and positive story that illustrates that when Muslim communities are provided with equal opportunity and an accommodating framework they are able to prosper and contribute productively to the development of their countries of residence.